Departure: Friday (Except 25th of December & 1st of January). 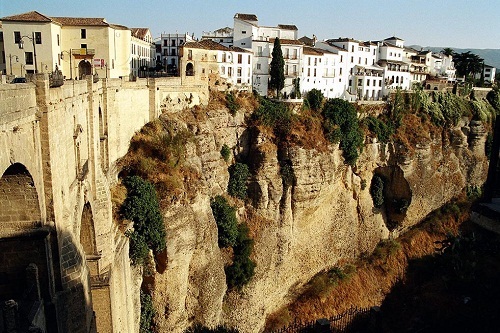 Ronda, ancient city located on two rocks that sits on a plateau cut by a deep gash dug by the river Guadalevín. Together with our expert guide in the city visit the Plaza de Toros of the XVIII century, the oldest in Spain. We know the Old Quarter and stroll through its famous white streets. Visit the Church of Santa María la Mayor rising above the old mosque of the city, designed by the XIII century that remains of the mihrab are still preserved. 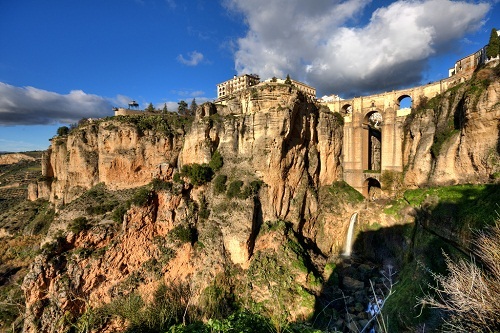 Admire the majestic Ronda mountains from their Lookouts. And finally could not miss the most emblematic of the Malaga town of Ronda monument, the New Bridge, built between 1759 and 1793. Free time for lunch and return to Seville, but not before making a stop on the way for coffee or relax before the trip in one of the famous White Villages in the province of Málaga.